Occupying a prime north-facing position at the northern tip of the peninsula, Jewel is truly the jewel of Sydney Harbour. Every essential and every indulgence is exactly where you want it: right here at home. It is, without doubt, the gold standard for living, a place where every pleasure and every convenience is at your fingertips. As you admire the magnificent Harbour views from your Jewel residence, you know you’re never far from the natural majesty just outside your door. 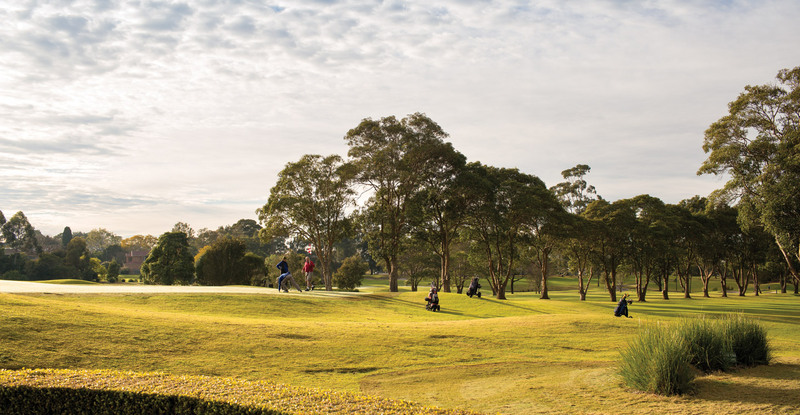 Australia’s largest urban parklands are your expansive and immersive backyard. 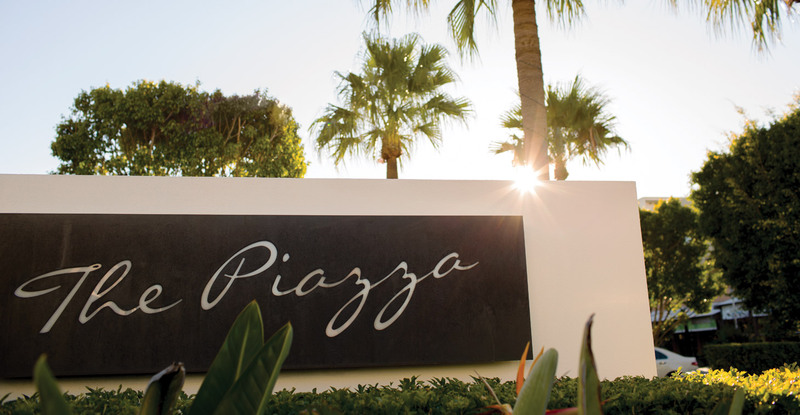 A 20-metre wide foreshore promenade wraps around the peninsula’s twist and turns, welcoming you home like a green carpet rolled across your threshold. Mere footsteps away, the point itself is crowned by a four-hectare harbourside parkland oasis, soon to be joined by a proposed luxury marina and a new maritime retail precinct with a distinct nautical flavour. Over your shoulder, a new bridge will soon put Rhodes’ cosmopolitan shops and train within an easy stroll. 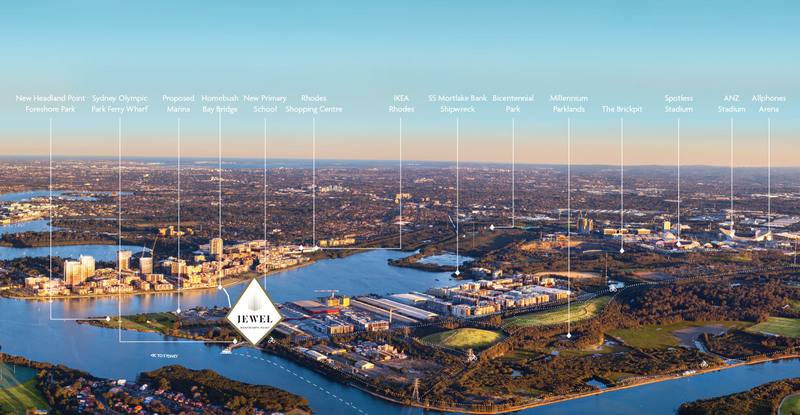 And when you feel the need to venture further afield, Jewel has its very own ferry stop for “step-on step-home” scenic commuting and excursions all points east to the City, or west to Parramatta’s growing CBD heart. Laps, naps, a heart-warming run along the waterfront, a pampering massage or a leisurely bite. Australia’s premier multi-use leisure precinct lets you be as active or relaxed as you please, whenever the mood strikes. 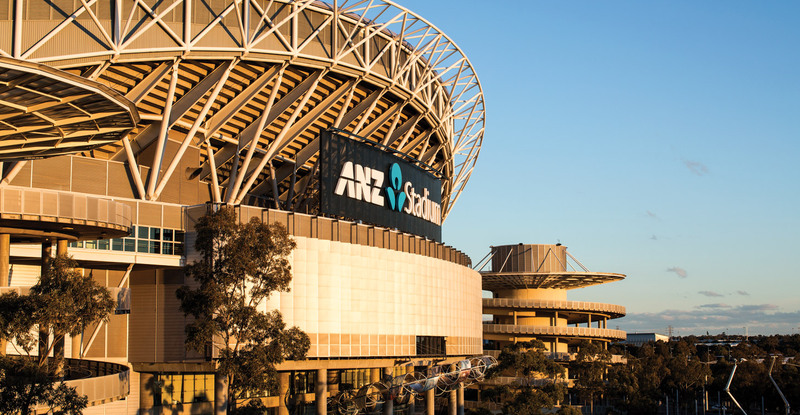 Casual or à la carte, dine out in style in Sydney Olympic Park’s enticing array of cafés and restaurants. Set sail across Sydney’s waterways by boat, ferry or kayak and drink up the atmosphere of the Harbour. Practise your drives at the Golf Centre. Swim in the wake of legends, luxuriate in one of five spas, the steam rooms and sauna or indulge in a massage at the Aquatic Centre. 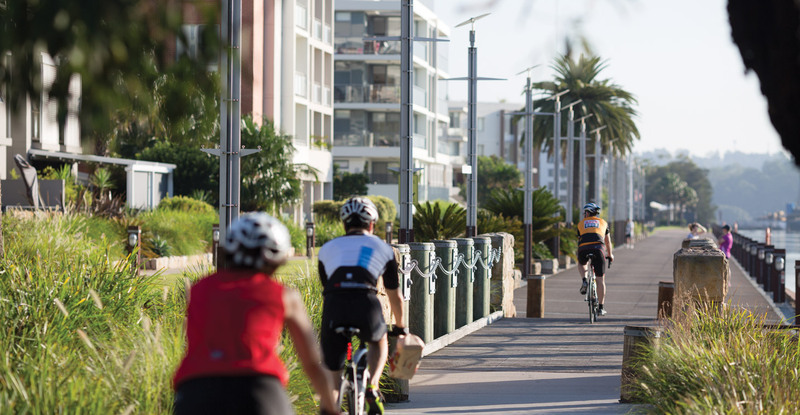 When you want to up the pace, set out and explore the 35kms of cycleways that wind their way across the parks, meadows and harbourfront, stopping for refreshments in a welcoming café as you go. Entertain yourself at the world-class shows, spectaculars and sporting clashes in the state-of-the-art arenas and stadia. Challenge your neighbours to a friendly game at the Tennis Centre and, later, toast your success in one of the chic wine bars. There’s nothing like resort-style living, especially when it comes without the maintenance. Rivalling the finest leisure playgrounds of the world, Jewel does it better than anywhere else.